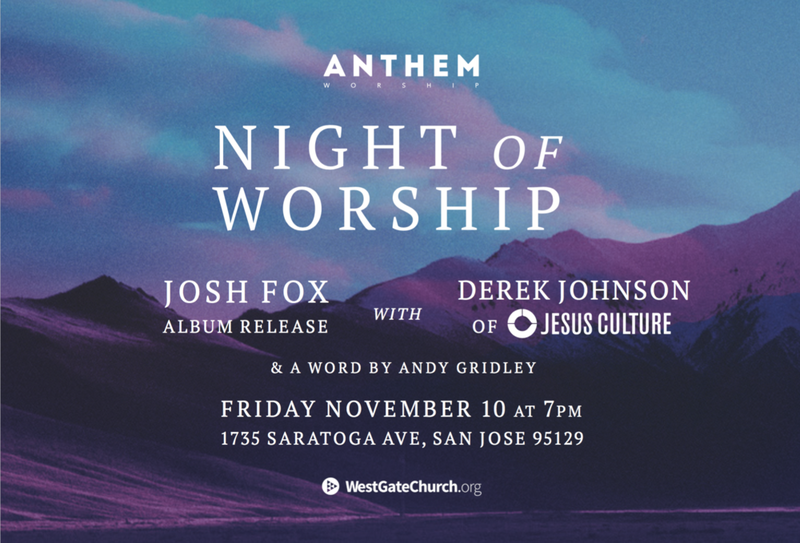 Anthem is hosting a night of worship celebrating the release of a brand new worship album from Josh Fox. The night will also feature Derek Johnson from Jesus Culture and a word from Andy Gridley. Don’t miss this opportunity to encounter God together with believers from all around the Bay Area and enjoy some new music.